Although nearly a third of Massachusetts residents say they support the death penalty for egregious crimes, less than 20 percent believe Boston Marathon bomber Dzhokhar Tsarnaev should be put to death — a level of support that has eroded over recent months as the jury’s decision on his fate nears, a Boston Globe poll shows. In Boston, support for the death penalty has dwindled even further: Only a quarter believe it is ever appropriate, and just 15 percent think Tsarnaev should be executed. Almost 66 percent of Bostonians and nearly 63 percent statewide favor a life sentence. The poll comes in the penalty phase of Tsarnaev’s trial. Jurors have just heard three days of wrenching accounts from victims and families of the dead. Now the defense will begin its case to spare his life. Perhaps surprisingly, given seven weeks of graphic testimony, the public’s appetite for Tsarnaev’s execution appears to have diminished over the course of the legal proceedings. Both sides in the trial have used imagery and symbolism to bolster their cases before jurors. A Globe poll taken a few months after the bombing in September 2013 showed that 33 percent favored death. A WBUR poll conducted days after his conviction this month showed that 26 percent favored death. Those compare with the 18.9 percent favoring death in the new Globe poll, which was based on telephone interviews April 22 and 23 with 804 people, nearly half in Boston. Dunham and other experts offered several possible explanations for the diminishing appetite for the death penalty, starting with the timing of the survey: The Globe poll was conducted after Bill and Denise Richard, whose son Martin was killed and whose daughter, Jane, lost a leg in the blasts, made their plea on the front page of the Globe for prosecutors to drop the death penalty. The Tsarnaev brothers’ dual bombs, and the crime spree that followed, left four people dead and injured more than 260 others. Daniel S. Medwed, a Northeastern University criminal law professor who has followed the case closely, said the letter and the discussion that followed might have changed people’s minds. He offered two other possibilities. It is easier to support the death penalty as a general principle than it is to advocate for the death of a specific individual, no matter how egregious that person’s crimes. Or, perhaps, he said, people are reluctant to give Tsarnaev the death penalty because they believe life in prison is a worse punishment for the young man than death, which could turn him into a martyr. “Voters seem to be concluding the supermax prison, where he will potentially be spending his days living an isolated lifestyle worse than Dante could imagine, is a more fitting and harsher penalty than death itself,” Perullo said. David Hoose, a criminal defense attorney with the Northampton firm Sasson Turnbull Ryan & Hoose who has experience in federal death penalty cases, said the opposition to death for Tsarnaev could be rooted in the concerns over his youth or the cost and drawn-out nature of the appeals process. 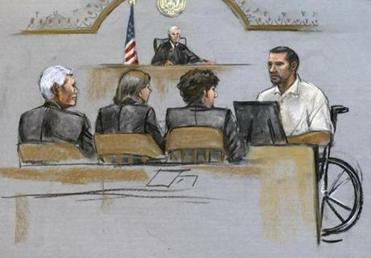 Dunham said it could also be that the defense’s argument — that Tsarnaev was in thrall to his older brother who masterminded the attacks, and was therefore less culpable, had begun swaying observers. But Dunham, Hoose, and others cautioned that the poll results could not predict what a jury might do. A new Boston Globe poll shows that although nearly a third of Massachusetts residents support the death penalty as punishment for heinous crimes, less than 20 percent believe believe Boston Marathon bomber Dzhokhar Tsarnaev should be put to death. NOTE: Numbers might not add to 100 because of rounding. The poll, done for the Globe by Sage Systems, LLC, of Boston, was conducted April 22-23 through live telephone interviews with 804 people statewide on both landlines and cellphones. The margin of error for the statewide results is 3.46 percentage points. The survey included 400 interviews with Boston voters. The margin of error for the Boston results is 4.9 percentage points. Patricia Wen, Milton Valencia, and Mark Arsenault of the Globe staff contributed to this report. Evan Allen can be reached at evan.allen@globe.com. Follow her on Twitter @evanmallen.